Hall and Closet or Passage knob sets do not lock. They are generally used on closets or other doors where a lock is not required. 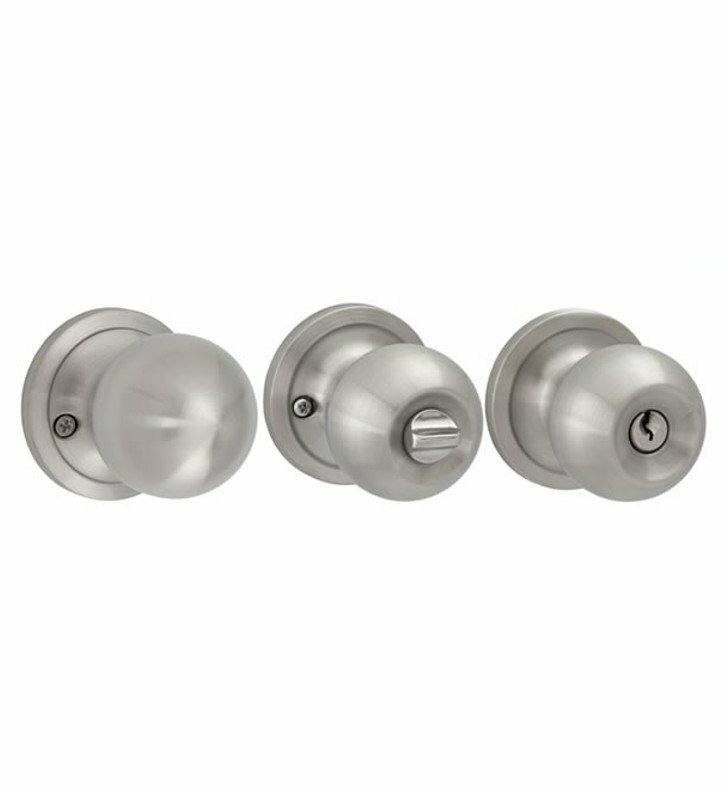 Privacy Door Knobs are generally used on bedrooms and baths. They are lockable but do not have a keyed cylinder. They can be unlocked with a generic tool that is provided. Questions about Nova Hardware NDK? Pluto Door knob is created to fit all the American standard doors. Pluto is not just a simple door knob as you can find everywhere on the market. This Door knob is exclusively made out of 304 brushed Stainless Steel just like other nova hardware. Pluto Comes with a life time warranty and is totally universal left or right. This door knob comes with Adjustable latch 2 3/8? to 2 3/4? It will fit all interior or exterior doors. This piece of hardware was created with a good quality and will land itself to any interior whether its modern or classic residential or commercial. Dimensions: W 2 1/2" x H 2" x D 3"